10 priorities for making African smallholder farming work under climate change – One Billion Hungry: Can We Feed the World? 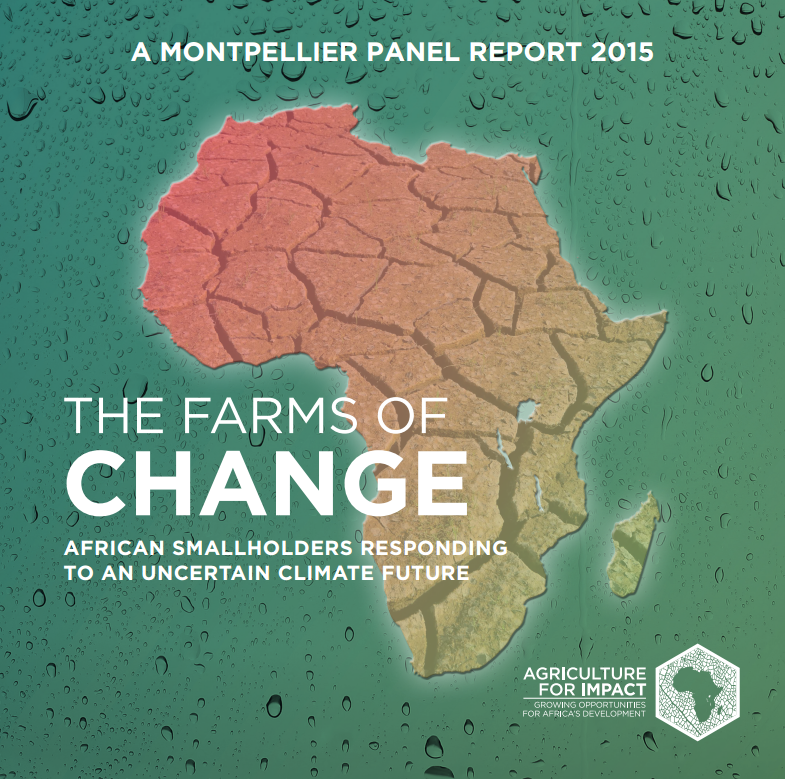 With just over two months left till a new international climate change agreement is being finalised in Paris, the Montpellier Panel is launching a new report today, “The Farms of Change: African Smallholders Responding to an Uncertain Climate Future”, which addresses some of the key challenges to climate-proof Africa’s smallholder farmers. As we all know, two of the greatest challenges of the 21st century are the increasing demands for food, water and energy from a growing population and – climate change. Agriculture and smallholders are central to both, perhaps nowhere more so than in Africa. Africa is already battling against the impacts of climate change and smallholder farmers are amongst the most vulnerable with the least capacity to adapt. Rising temperatures signal more extreme weather events that will put lives and livelihoods at greater risk, increasing smallholders’ vulnerability to drought, famine and disease. And whilst progress has been made during the last two decades to reduce hunger and to improve farmers’ livelihoods, climate change jeopardises these gains. High levels of poverty and underdevelopment combined with insufficient infrastructure exacerbate the already severe impacts of global warming on resources, development and human security. In order to adapt to and mitigate the effects of climate change, international organisations and governments must help smallholders to reduce and off-set greenhouse gas (GHG) emissions. Smallholder farmers can be agents of change. However, they need to be given the right options and incentives – such as payment for ecosystem services and more secure land rights – to drive sustainable agricultural development that builds resilience and reduces GHG emissions. Across Africa, climate change could spur countries to invest in renewable energy technologies, create new markets for agricultural producers, and build human and institutional capacities to support a knowledge economy based on innovation, research and development. To do this requires enabling policies and incentives for smallholder farmers to invest in environmental services, preserve biodiversity, sustainably manage natural resources such as land and water, and to use energy efficiently. The Montpellier Panel argues that insufficient finance is one of the main constraints to implementing climate change adaptation and mitigation projects in Africa. Between 2010 and 2050, the annual cost for adaptation to climate change in sub-Saharan Africa (SSA) will be at least US$18 billion and up to US$50 billion for the entire continent. Yet the level of financing currently reaching African countries is paltry, according to the report. Of the US$34 billion pledged through various climate funds, SSA received just US$2.3 billion between 2003 and 2013. This funding gap should be met through public and private resources, but allowing local governments to allocate funds according to need. The report also advocates for the wide adoption of Sustainable Intensification that seeks to produce more food whilst ensuring the natural resource base on which agriculture depends is sustained. This can include, for example, nitrogen-fixing crops that improve soil quality or the introduction of drought-tolerant maize varieties. #1: The threat of climate change to food and nutrition security, arising from the severe vulnerability of agriculture and farm households, needs to be on top of the agenda of the UNFCCC and national governments. #2: More investments in sustainable farming systems are needed to adapt to climate change and to generate mitigation co-benefits in order to improve the livelihoods of smallholder farmers. #3: National governments need to invest in better weather monitoring, data collection and modelling to provide improved estimates of climate change and the probability of extreme weather events. #4: International organisations, governments and the private sector must increase investments in research and local capacities to understand the responses of different crops and livestock breeds to drought, floods and heat stress. #5: Better regional and national estimates of the number of people that will suffer from food and nutrition insecurity, including micronutrient deficiencies, are needed to plan resilience-building strategies. #6: More investments by governments, donors and the private sector are needed to scale-up proven community-based adaptation projects. In particular those that build resilience such as soil, water and nutrient management, conservation technologies and risk management tools. #7: To keep global temperature rise below 2°C above pre-industrial levels, international organisations and governments must help smallholders to reduce and offset GHG emissions. #8: Investments should be directed towards interventions that sequester carbon into the soil, such as agroforestry systems and better land use management practices. 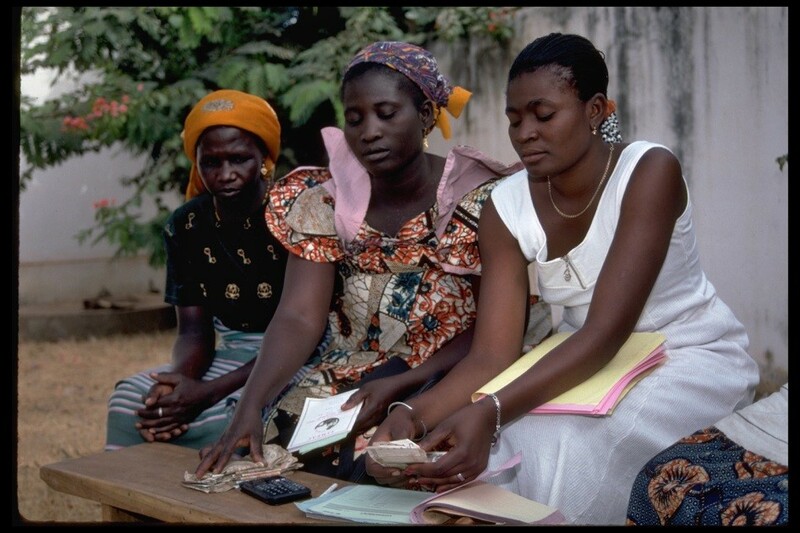 #9: Climate finance mechanisms should be improved or designed so that African governments can better access funding that significantly benefits smallholder farmers. #10: Designing and implementing adaptation and mitigation strategies that benefit smallholder farmers requires strong political leadership, functioning markets and regulatory instruments. Action has to be taken now. The climate talks in Paris in December present an opportune moment to put the world on the right trajectory to achieve the United Nations Framework Convention on Climate Change (UNFCCC) goal of limiting average global temperature rise to 2°C. It will be hard to achieve this without leveraging the potential of the agriculture sector, both in the developed and developing world. Unlocking Africa’s agriculture sector in a way that captures the synergies between adaptation and mitigation and identifies and reduces trade-offs cannot only contribute to preserving our planet for future generations, but also contribute to poverty reduction and economic growth today.